A new shipment of beautiful jewelry for Christmas has arrived! 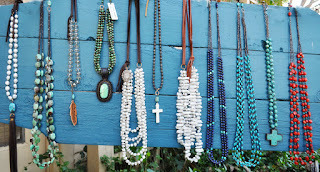 Drop by and see our case of our new authentic American jewelry. 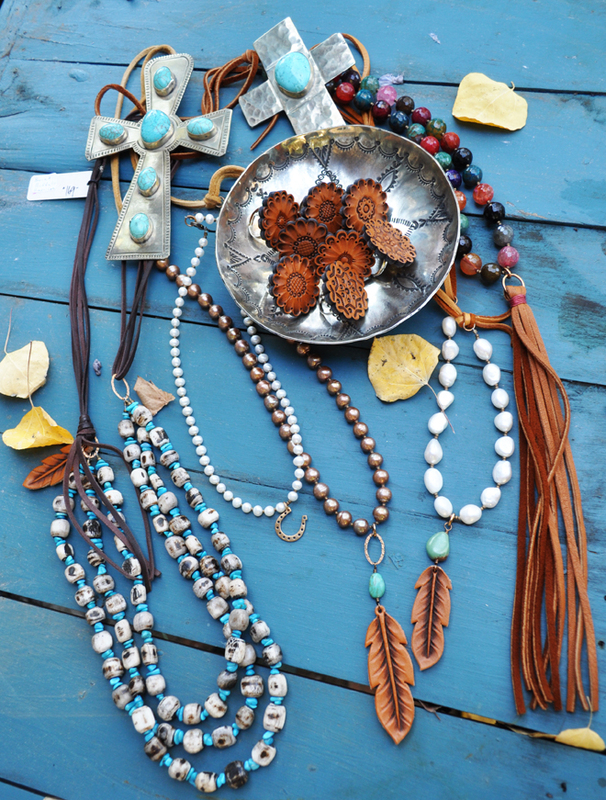 American turquoise, burnt buffalo horn, blue lapis, stick pearls and red coral with detailed leather work, beading and silversmithing to create beautiful pieces for Fall! Pendants are extra-large and very stunning! 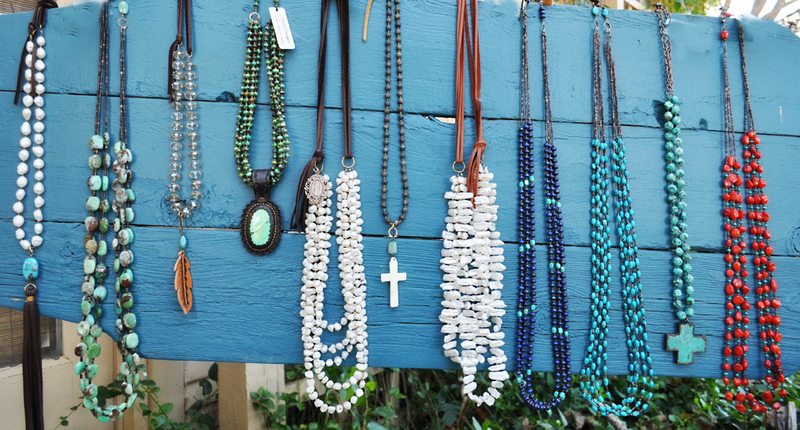 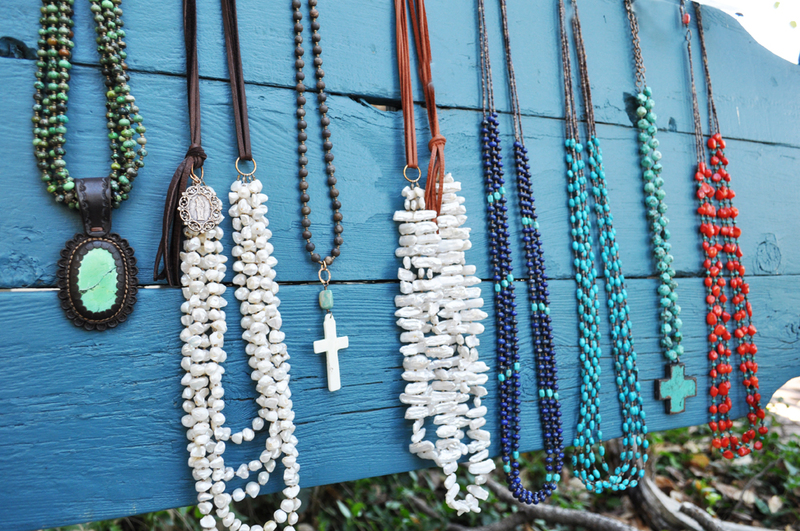 Growing up in the small, south-Texas town of Beeville fostered an early love of all things natural for this Texas based jewelry designer. 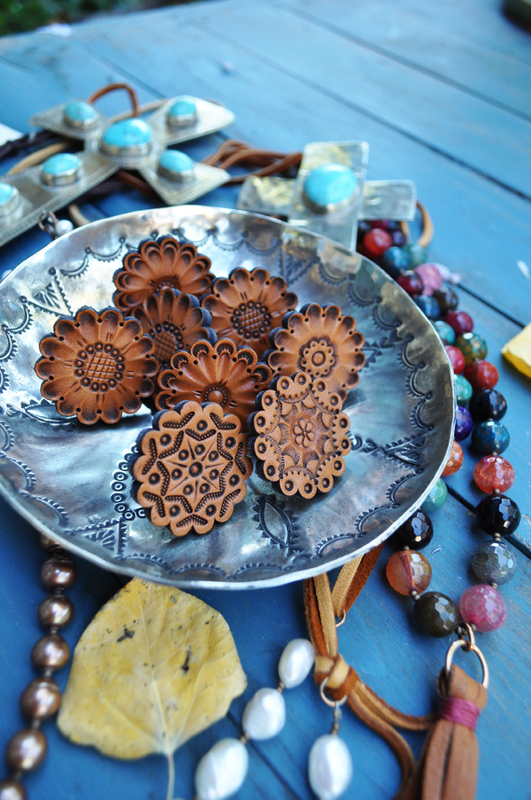 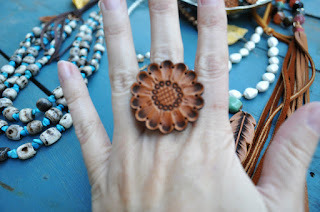 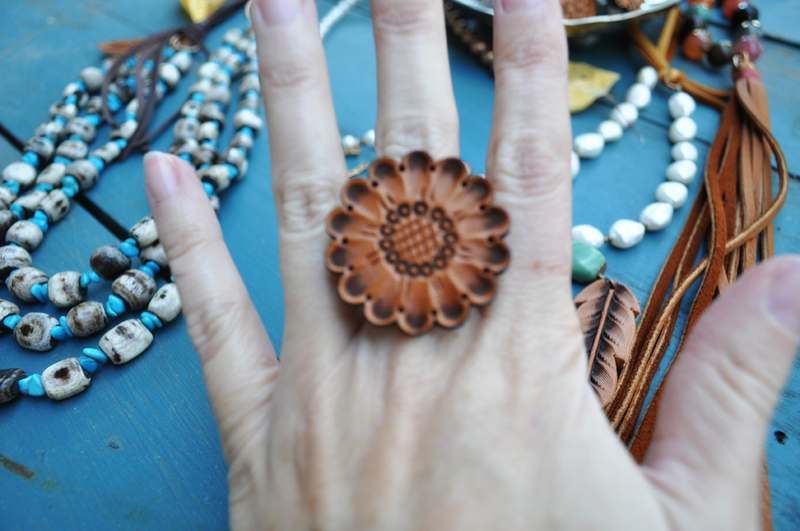 These are new to the artist's line....handmade tooled rings that are adjustable, large and unique! 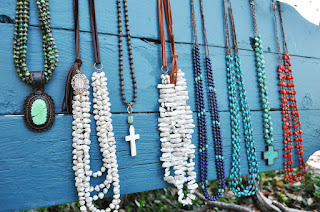 $24.95 each a great stocking stuffer!